If you have low “slopey” ceilings this could be a great piece for you. 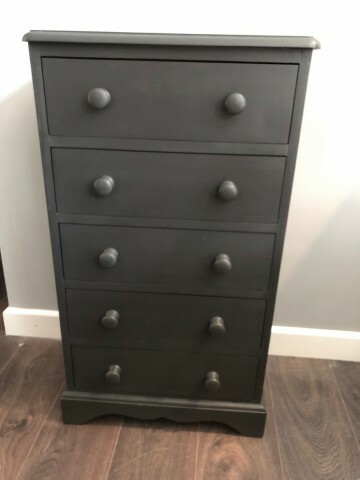 Offering lots of storage in seven generous drawers. 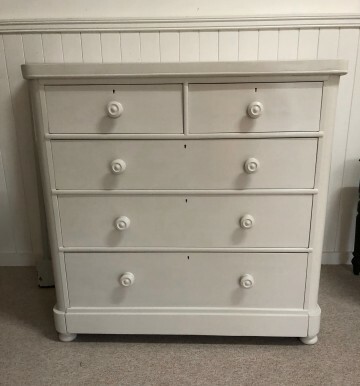 This is a more recent piece of solid pine furniture which we have hand painted in our workshops using Shirting from The Little Greene Paint Company. A really lovely pure white.